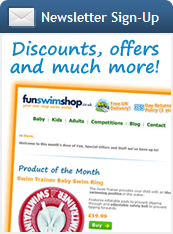 The Mermaid Fin is a fun, monofin pool toy ideal for young swimmers. The Mermaid Fin teaches a balanced dolphin kick while also allowing children to increase confidence in the water. The Mermaid Fin comes with a comfortable TPR foot pocket and uses a quick-release foot strap so that feet can quickly be removed from the fin for safety. 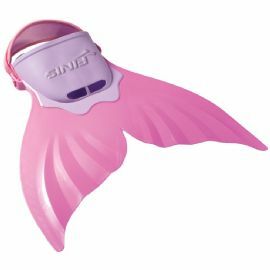 Designed for ages 6+, the Mermaid Fin fits shoe sizes male 1-6, female 2-7. The Mermaid Fin should only be used under adult supervision.